It’s now officially summer. Hooray! 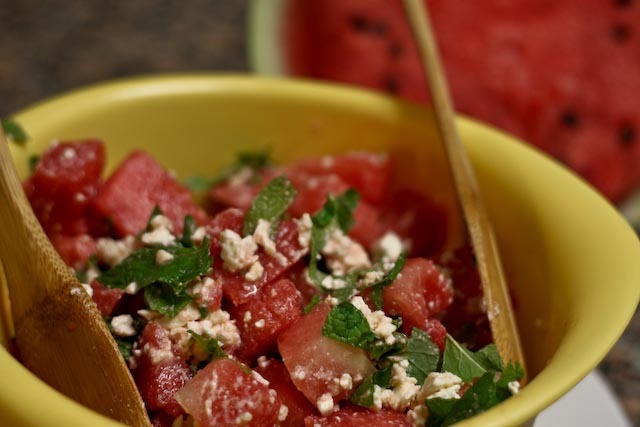 And nothing says summer quite like watermelon. 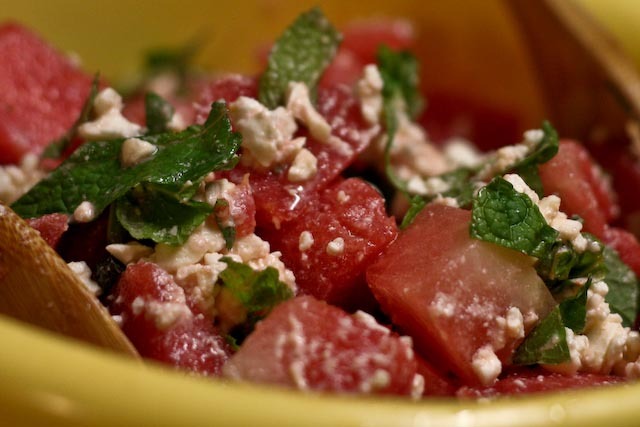 Even better if it’s paired with fresh mint and feta cheese. 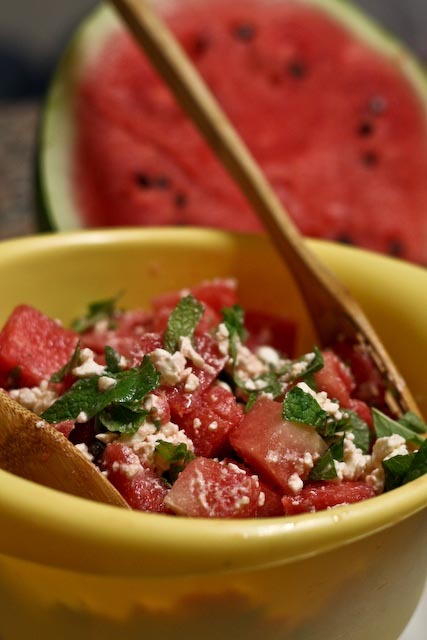 Watermelon sounds especially refreshing, since it’s extremely hot here – and just about everywhere else right now! I’m not sure what it is about these three distinct flavors, but they just seem to mesh so well together. 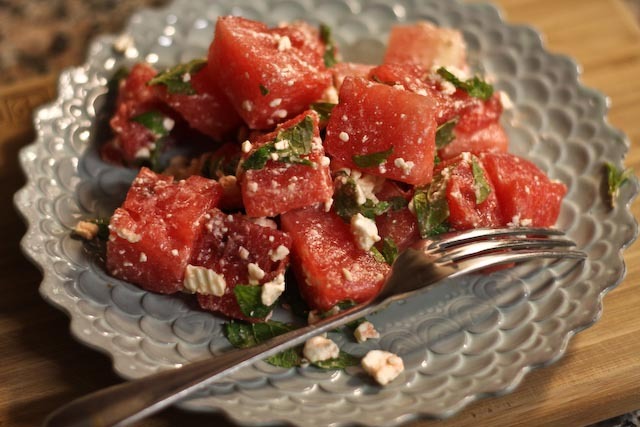 The juicy sweet of the watermelon, combined with the tangy creaminess of the feta and the crisp refreshing flavor of mint. Delicious. As an added bonus, this tasty salad is very low-calorie! Combine ingredients in a large bowl. Serve chilled. 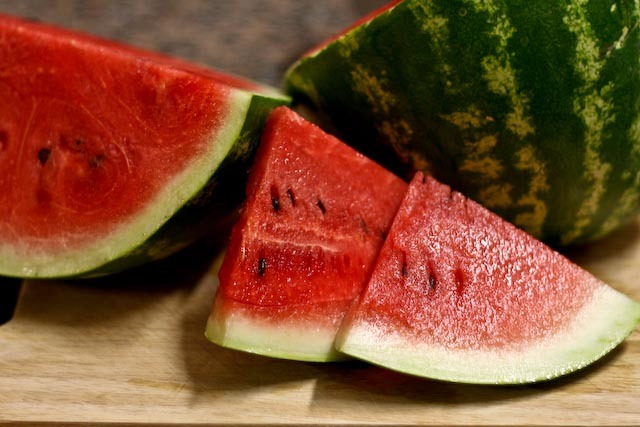 *Note: If watermelon is extremely juicy, set cubed pieces on a paper towel and pat dry before combining with other ingredients. Tried this last night (forgot the lime juice). Interesting and yummy! Glad you enjoyed it! The lime juice isn’t vital, but does add a little extra flavor. I’d also suggest trying it with cucumber and thinly sliced red onion for a twist!